· You can actually double your available hanging space by adding an extender rod. They’re actually pretty cheap, too! An extender rod is also known as a closet doubler. It’s just a second closet rod that hangs off an existing closet rod. 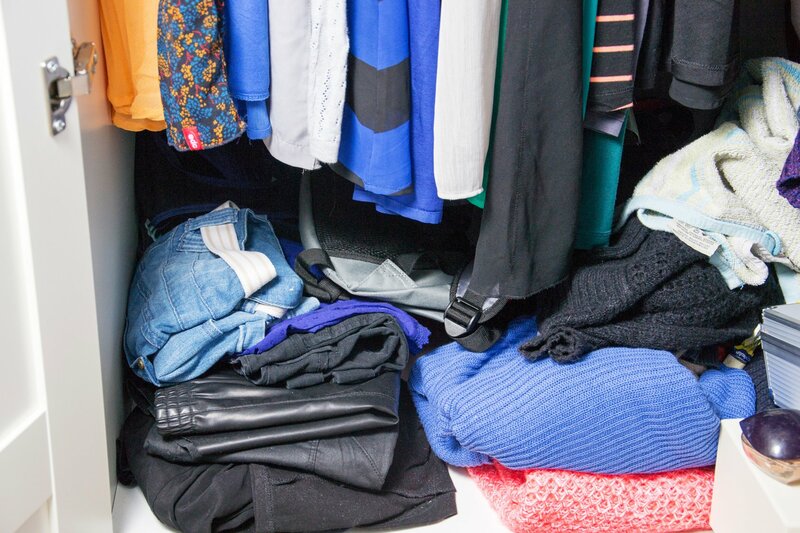 Most closets leave a massive amount of vertical space that seems to be usable, but you just can’t figure out how. An extra closet rod will help you use all of that space. · You can store more clothes and shoes on shelves with shelf dividers. If you currently have all of your different clothing types stacked on your shelves next to each other, it’s easy for them to get jumbled up. Laundry can be exhausting when you have to take everything out of your shelves to rearrange them. Using shelf dividers helps you keep those stacks of clothes from falling over and getting mixed up together. It’s really just a pain to sort through clothes to find the one shirt you want to wear that day. · Try out some under the shelf baskets. You can actually double the amount of shelf space that you currently have by adding in under the shelf baskets. These baskets hook on to your shelves and hang down below, providing you with more space than you knew you could have. Depending on the size of your closet, you can fit multiple under the shelf baskets and store all sorts of things. You can place clothes, shoes, and accessories in each of the baskets. · Hooks are your best friend. If you can look in your closet and find any wall space that isn’t covered by clothes, hang some hooks there. If there’s enough space, hang an entire rack of hooks there. Hooks are a wonderful way to reclaim space that you didn’t think you could use. Hooks are also a great way to hang more clothes or belts that you thought you didn’t have any room for. · Store suitcases above your closet door. If you can hang hooks close to the ceiling in your closet, then you’ve got space for your suitcases. Living in a small area means that every amount of floor space is needed. Storing your suitcases at the top of your closet means they don’t sit on the floor taking up unnecessary space anymore. 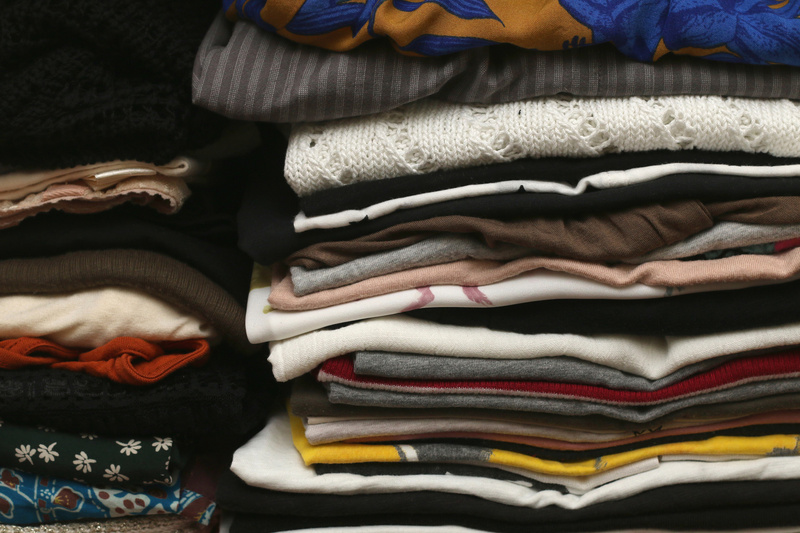 You can even store lightweight out of season clothing items in suitcases, thus creating more room in your closet. · Hang things inside of your closet door. Scarves, belts, and hats are an easy thing to store on the inside of your door with hooks or tacks. Get a plastic shoe rack. They have little cubbies on them that will hold all of your different pairs of shoes. They hang from the top of your closet door by several hooks, and create loads of storage space.